Now that we have the two candidates and their running mates selected in the presidential horse race, how those four politicians will view GA is on the top of all of our agendas right now. "Considering that GA is the primary form of long-distance transportation in the forty-ninth state, it’s not surprising that Gov. Palin has taken a stand on the user fee issue. In May 2007, she signed a resolution in opposition to the FAA’s plan to increase avgas taxes, impose user fees, and slash airport funding. AOPA and the Alaska Airmen’s Association had worked together to move the resolution through the Alaska legislature. There is a family connection as well. Palin’s husband, Todd, is an AOPA member and Super Cub owner." "Neither presidential campaign has yet published a position on general aviation issues. So, AOPA has sent each candidate a questionnaire. Responses from Sens. McCain and Obama about FAA funding, air traffic control, GA security, the environment, and their personal experiences with GA will be published in the November issue of AOPA Pilot. (Don’t worry, the magazine will be in your mailbox weeks before you cast your ballot.)" "1. 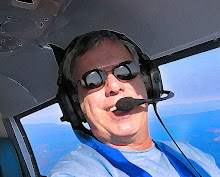 What is your experience with general aviation? How have you personally used general aviation? 2. As an elected official, can you cite actions you have taken to support general aviation? 3. General aviation airports are an important part of the national air transportation system but are often faced with the threat of closure or limits on access. How will you support general aviation airports as part of the national airport system? 4. Airlines and the current Administration have proposed replacing the current system of fuel and ticket taxes to fund the FAA with a user fee-based system assessing fees on each component of a flight. What is your view of how to fund the aviation system? 5. Recognizing that both aviation users and the general public receive significant benefits from a safe and efficient air transportation system, Congress has funded the FAA through an appropriation that combines funding from the Airport and Airway Trust Fund (aviation taxes) and the General Fund. Do you support continuing to fund approximately 25 percent of the FAA’s budget with General Fund dollars? 6. Industry observers, think tanks, and some airlines have proposed a variety of management structures for the FAA’s air traffic control system. Do you believe air traffic control is a fundamental government function or should be spun off to the private sector? 7. There has been a lot of discussion about aviation and the environment. Given that pilots are very sensitive to anything affecting the cost of flying, how would your environmental policy address these concerns? 8. On the issue of homeland security, the challenge facing policymakers is finding the right balance between security, individual rights, and the economic viability of the general aviation industry. What are your views on general aviation security? 9. 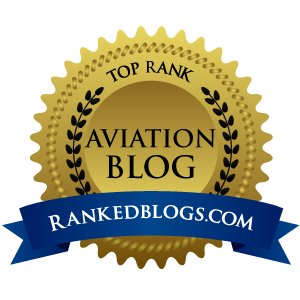 What specific qualifications will you look for when nominating a FAA Administrator?" All very valid questions. And when the answers come out, we will have to start up the ol' crap-o-meter and sift through them to find out what part of their schtick is genuine and what part of their answers are canned responses that obviously pander to the pilot community to secure votes. Neither Obama or McCain should underestimate the GA voter, because a candidate that supports user fees and does not address the sad state of FAA will not get our support no matter how cute many perceive their "hockey mom" VP choice to be.